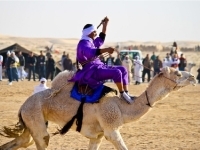 The Festival, called the Camel Festival, began in 1910 when Tunisia was under French rule. In 1967, it took on its modern identity according to the will of Habib Bourguiba, Tunisia’s first President of the new Republic, to become the country’s oldest and best-known Festival. The massive influx of visitors from friendly and sisterly countries might be the greatest proof of the value of the Festival. The committee of the Festival seeks to open new windows on the Arab world and Europe. This is clearly translated in the wide international participation either officially or through the various performances like Douz National Equestrian and Perseverance Race which is organised by the Festival Committee with the cooperation of the National League for the Equestrian Sports. 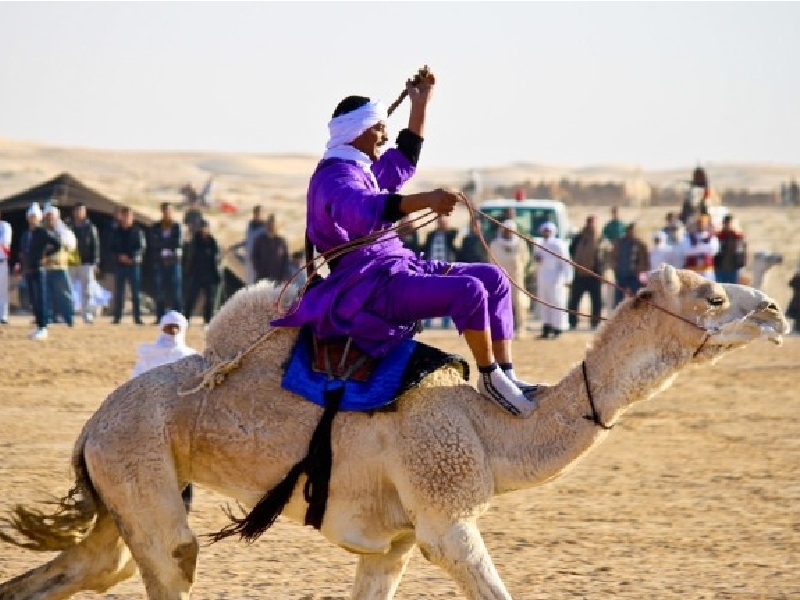 For four days, the guests of the city enjoy equestrian performances, “Meheri” (foal) races, “Slougui” (dog) hunting, camel wrestling and the traditional wedding of Douz as well as the folk music bands coming from the edge of the desert.